10 Tips For Stress-Free Travel - Hej Doll | Simple modern living by Jessica Doll. This post is sponsored by Rescue. The holidays are usually a stressful time for me, and when you throw travel into the mix they are even more so. With three of the worst times to travel located within the last couple months of the year*, you can expect that there might be some hiccups in your travel plans. From long lines to aggravated travelers, keeping a trip stress-free might be more difficult. 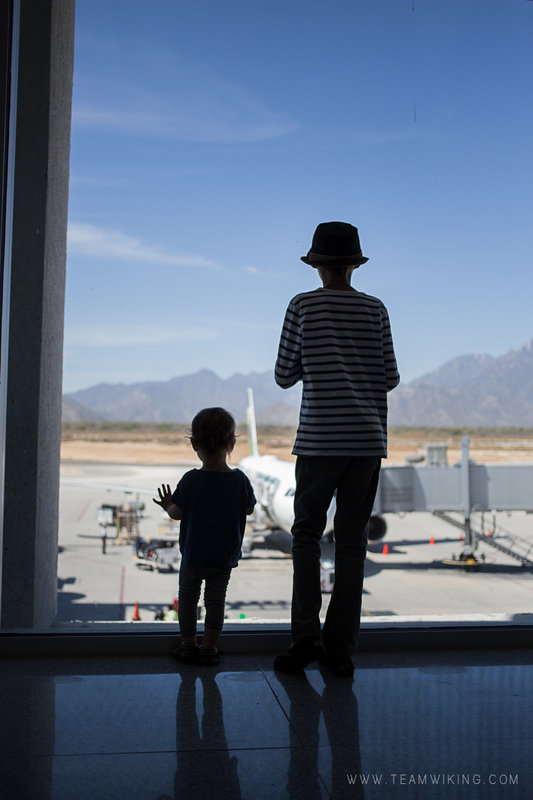 As a frequent traveler, both with and without kids, I’ve partnered with Rescue today to share some of my best tips for stress-free travel. These tips are great for end-of-year or holiday travel, but also apply to year-round travel too! It always pays off to plan ahead when there are any unexpected issues that come up during travel. Be sure to have proper identification and copies of all of your important documents like boarding passes, hotel reservation, etc. It helps to keep photos of important documents on my phone and then I have them available if I need them, even without phone signal (but you better keep it charged!). I usually carry a back-up power block with me as well. I promise if you don’t look like the Queen of England when you’re in transit you won’t be judged. Your clothing should be comfortable when sitting for longer periods of time, and wear well. Don’t wear a dress that wrinkles easily or is hard to move in or you might regret it. I personally don’t mind wearing jeans for extended periods of time, but I really love to wear leggings with a jersey based tunic or sweater. It can be very tempting to try to do all the things while you’re traveling, but in reality would the stress be worth it? We try to limit activities to just one a day to avoid feeling rushed during our travels. We love time to explore and see the area in an organic way. Just because you’re traveling doesn’t mean your workout should go down the drain. No matter the destination there is always a place to do a workout, whether it’s hitting up the hotel gym, catching a fitness class, or exploring the great outdoors. An easy way to get those extra steps in is to make your way around on foot. When we were in Denmark it was easy for us to walk 4-5 miles in a day just by walking instead of taking transit. Sometimes we get so excited about travel that we forget our own limits. We over-exert ourselves and even if we’re normally a healthy eater, we may indulge in a few extra desserts. Remember to take care of yourself by taking some time out. Whether it’s taking a nice bath in your hotel or booking a spa appointment, take care of you! I’m not one to take medication easily, but I love to incorporate natural products for general well-being. I’ve been using the Rescue Pastilles for natural stress relief. The tin they come in is perfect to carry along with me in my purse and on my travels. I just picked up another tin in the black currant flavor, it’s delicious! They also make a Rescue Remedy spray that is easy to use, I keep it at home and use it when I need to. Do you have that one little thing that really makes you feel good? I don’t mean to go crazy with a lavish trip, but if you’re in love with your silk pajamas or slippers why not pack them? It will be worth it to have a familiar piece of home with you. I don’t think there has been a trip that we’ve gone on that hasn’t had some sort of stress to it. Whether it’s long lines, delayed flights, extra screenings, or cranky kids, it’s always good to go with the flow. Easier said than done, I like to remind myself that as long as we are safe, healthy, and together we’ve got a lot to be thankful for. I’m a huge believer in packing light when you travel, not only because checking a bag is a pain, but your bags are less likely to have issues if you carry them on with you. If you are worried about the overhead bins filling up, your bag can be gate-checked for no extra charge. Then you never have to stress about losing a bag while you travel! Easily my best tip. Smiling is contagious and many people get grumpy during travel. Who knows, you might turn someone’s day around! Do you have any tips for stress-free travel during the holidays? This post was sponsored by Rescue, who makes the all-natural Rescue products. I pick mine up at Whole Foods, but you can use their store locater to find them near you. Thank you for helping to support the sponsors that make life here a little sweeter. * Stat from USA Today article. Top image by Kate Skogen. I tried packing light once, but the weather completely shifted and was nothing like forecasted. Ended up going shopping and I hate shopping on vacation. But traveling has gotten so much better since I stopped over scheduling it and hitting the hotel gym. Great tips! Oh no! That sounds like a nightmare. I had something similar happen to me when I went to Venice Beach and usually pack layers for that reason. I got by but did make several jokes about buying a ‘tourist sweater’ while I was there, haha. i’m so bad at packing light, but I have gotten better about not planning too much. it is the little things! I am so glad we don’t have to travel more than 20 minutes for the holidays. I always pack ahead time when I do travel so I’m not stressing the night before. Yes! I am so about these tips. All of it I believe I’m already doing when I travel except being active. I usually don’t even pack work out shoes because they take up space when I pack light and I never take the time to go to the gym on a trip…but I LOVE the idea of finding ways to be more active by walking to destinations or maybe even do a bike tour of a city. I may reconsider working out though when I travel if I do a local class there. 🙂 Thanks for the tips!